Many of the reforms achieved at the close of the 19th century served New York City well into the next century. Protections against child neglect and legal measures that allowed the state to intercede on behalf of children were ahead of their time. As immigration into the United States slowed after 1920, with the federal passage of the National Origins Quota Act, the problem of unruly "un-Americanized" youth seemed to decrease. There were, of course, other diversions; world wars and worldwide depression made juvenile detention a secondary consideration. As a result, the basic principles of juvenile detention established in the prior century were broadened. Increasingly, children's rights were protected as the state asserted its authority to intervene on their behalf. As the 20th century began, state statutes strengthened earlier laws; children's courts were legally fortified, segregation of children's cases and records were mandated statewide, and conviction of juveniles was limited to misdemeanors, except in the case of capital crimes. Perhaps the most significant developments in the way juvenile justice was administered stemmed from a pair of changes in the late 1920s. The Children's Court Act of New York City established a new tribunal for children and altered the substantive laws governing youthful behavior. The Act took the significant step of merging the categories of criminal activity, disorderly conduct, truancy and desertion, under the umbrella of juvenile delinquency. 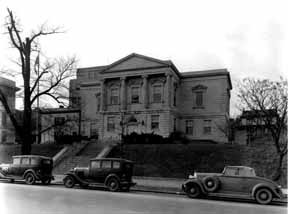 Three years later, in 1927, the State Court of Appeals applied the standards used in criminal procedurings to delinquency cases. Changes in conception were accompanied by an expansion of the physical space of detention. 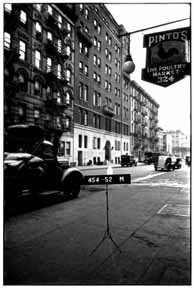 In 1928, the Lavenburg Foundation opened the Hanavah Lavenburg Home for Working Girls at 331 East 12th Street. The first Youth House at 331 East 12th Street. Over the next 30 years, this building became a focus of juvenile detention services in New York City. It served as Lavenburg Corner House for Boys and Youth House for Boys in 1944 and 1945, respectively. Delinquent girls were housed at Youth House for Girls on Welfare Island, and then in 1953, at the Manida Juvenile Center, a 102-bed facility, formerly the Sevilla Mansion, located on Manida Avenue in the Bronx.